Love the great outdoors? 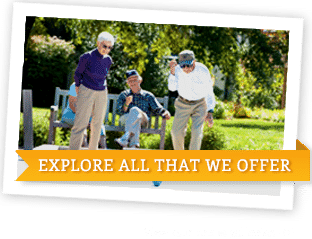 Try bocce, croquet, walking, cycling and more. Fitness enthusiast? You’ll love our fitness center, pools and classes. Art connoisseur? We have several galleries. Friendly inspiration defines our community. Each day at Pennswood Village a foundation of Quaker values, including dignity, respect, diversity and a warm welcome for people of all faiths, supports both our services and the relationships that flourish among residents and staff. 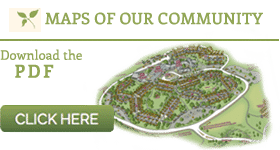 This friendly, Bucks County senior living community gathers an exceptional group of people into a place of remarkable natural beauty. Here we create a fellowship of inspiration, resulting in a place of true hospitality and a multitude of opportunities. Call 215-504-1118 today to receive a FREE INFORMATION KIT. Each day at Pennswood is focused on personal growth: intellectually, physically, socially and spiritually. Quiet days can be spent reading in a library with more than 6,000 books, engaging in conversation with a neighbor or attending a cultural event. The community responds with spaces tailor-made for contemplation. As daily pursuits become more active, the community again responds, with amenities and spaces geared to physical activity. For your security, the promised continuum of healthcare brings peace of mind, with on-campus person-centered care and easy access to the region’s award-winning medical centers.